Social Evil or Social Good? I was browsing the forums for my new friends the Boiians. After I mentioned that I had noticed traffic from their site, they sent me an invite to the open layers of their forums. It was very nice of them and I spent a chunk of the weekend browsing their links and absorbing more information about Eve. Last night, Lue called me a social butterfly. To an extent, that is true. I'm chatty. I talk in local. I talk in local all of the time. I say hi to people, I have conversations, I meet all sorts. If someone says hi to me in local I send them a eve mail saying hi back if I wasn't around when they passed through. I've been warned that it will bring war decs down on to me. I can't help myself. 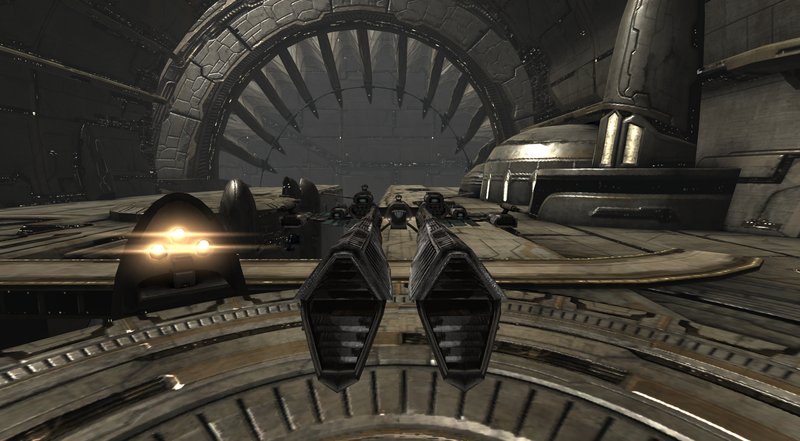 In fact, as I write this I'm in a fleet in high sec doing level 4's with some people I just met in my Jag. I meet a lot of people. The other day, as I was jumping into Atlar someone said in local that the gate was heavily camped. Of course, I was only mildly paying attention and noticed the warning as I session changed. However, I was in my Viator. I took a moment to access the situation. They had 5 ships on the gate that I saw and one that tried to chase me down to the next gate. I sent him a message and thanked him for the notification. He said that he was happy to help, he said. After all he hated pirates. I've never let a little thing like hate get in my way of being chatty. I apologized and told him that I might qualify as the above. However, I might also see about having the gate camp broken up and I'd see of my boys were interested. We had a goodly number of members on so I dropped some intel into our alliance intel channel. Heads lifted and the air was sniffed. A good gate camp is always fun. It took them about five minutes to form up. Fifteen minutes later or so they started posting the kill mails. I remesssaged the guy who had made the warnings and asked if he wanted an update on the gate camp. He said, "I'm cloaked near by, they are still here." I suggested he look again at who was actually there. "Oh. Those are a lotta boys." "Mmmhmm. Thanks again for the warning and have a nice day." So, that is me. Randomly chatting people up. Therefor, I was surprised when someone chatted me up yesterday. Or, to be more precise, he chatted up my alt. I had sent her a few systems out to scan for some iskie making opportunities. Instead, I came across an opportunity to make some true Eve style decisions. He first asked in local if the area was heavily gatecamped. When I did not asnwer (I was busy reading space.com) he sent me a message which I noticed and responded to. I then noticed what he had asked in local so I gave him a quick breakdown of where he might find gatecamps. Next, he said I seemed to know a lot about the area and that I was just the type of person he was looking for. Would I like to confound his new corporation with him? I talked with him for a while longer. He was a four or so month old character leaving his null sec corp because it was not what he was looking for. He did make sure to tell me that no one bothered him with his null sec banner. The total situation is that he wants to build a miner/pvp corp in the system next to my corps home system. He plans to defend it and chase out the pirates, grow it, and then join a null sec corporation. And he has invited me in. I dropped the break down into corp chat. Immediately they told me, "Yes. Take his offer. Take it all." So, do I or do I not? I'm not sure. I'm terribly interested to see how the forming and probable fall of the corporation goes. As for corp theft I'm up in the air about it. Its a part of the game and this is someone soliciting a random person. I even discussed that with him but he believes in e-honor. I asked him how long he had been in the area. He said quite a while and that he knew it very well. He told me that there are four major null sec corps that live in the area that he has noticed. He said nothing about the pirates. He plans to go blue to the null sec corps to have friends and help. Before he logged off, he jumped back into the system I was in. I then see him say in local to someone, "You are on my kill on sight list. My corp will be coming after you." "I live in Skarkon," said the other guy. He then linked the system. It seems that he was ganked when he came into the system. He says to me, "Some low life idiot just destroyed my ship" and was in quite a huff over it. He then said he'd get back to me in a few days and logged out. So, no checks, random invite... these things so often don't go well for people... and yet it still keeps happening. Why would he make such an offer to a random person out of the blue? My alt is in an NPC corp, with a killboard history of dying to things. I think I'm going to follow this path and see where it takes me. Will they grow? Will they fail? Will I take all their stuffs? I don't know. It is a lot to think about. He has nothing to offer so he tries to pick other losers (and your NPC corp alt with losses looks like that) in the hope that together they'll be strong. He has no plan or any idea, he just hopes that "the group" can protect him. Just like his imaginary friends going after that ganker. The only point I see joining is to figure out where their mining ops will be and drop your main corp on the top of it.